Our Arlington / Alexandria Care Team | BrightStar Care " "
At BrightStar Care Arlington / Alexandria / DC, owned by Reem Aloul, our home health care agency provides exceptional quality in home care and medical staffing solutions to families and businesses in Northern Virginia. Our mission is to offer peace of mind to our clients and their loved ones by providing the highest quality services that help families and businesses live and perform their best. We strive to help our clients live well in every setting and stage of life. Our aim is to provide more – more comfort, more security, more quality, more time, and more peace of mind. Our values empower us to provide compassionate care and exceptional service. Any Time, Any Place… Local owner, Reem Aloul, is proud to be a part of great network of BrightStar offices across the country, and to focus on serving clients in Arlington County & Alexandria City and surrounding areas. From personal experience, Reem knows how difficult it is to be geographically separated from loved ones who need care. “My team and I want to help members of our community maintain or improve their independence level and age at home”, Reem says. “We greatly appreciate our clients letting our family at BrightStar Care Arlington help theirs and we promise them exceptional quality care”. Reem is the owner and manager of BrightStar Care of Arlington-Alexandria. After over 20 years of senior executive experience in the areas of management consulting and international economic and social development – during which she travelled the world supporting people, businesses, and governments improve their operations and service delivery, Reem decided to focus on helping people in our local community remain in the comfort and familiarity of their homes. She founded BrightStar Care of Arlington-Alexandria and became a Certified Senior Advisor (CSA). Reem is passionate about aging in place and providing clients and their families the peace of mind, knowing that their loved ones are in good hands with BrightStar caregivers. Reem is personally involved – on a day-to-day basis – in selecting and coaching our caregivers to meet and exceed clients’ expectations. Her favorite part of the job is visiting clients in the Washington, D.C. area at the initial stages, answer their questions, and help them plan their care needs. 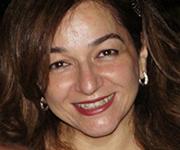 Reem lives in Arlington, VA. She holds a Bachelor’s Degree in Economics, with a minor in Psychology, from the American University in Cairo (1992). Ms. Karelle Koffi, Nurse Manager at BrightStar Care of Arlington, is a compassionate nurse with experience in managing staff, educating clients and caregivers, client care planning, and direct patient care (wound care, trach and vent care, tube feeding, disease management)— for pediatric and geriatric clients. She worked with BrightStar as a field nurse for three years before she was promoted to a Nurse Manager at our Arlington, VA office. Karelle is an avid patient advocate, strongly believes is comprehensive care planning, and very much enjoys helping clients remain safely and comfortably at their home. She is bi-lingual and loves living and working in the Washington, D.C. area. Ms. Yodite Mezegebu, Care Manager, has over10 years of experience in customer service in Corporate America. She holds a Business Administration degree from the University of Phoenix, and is currently working on her Registered Nurse credentials. Yodite worked as an office administrator, where she was managing three different locations and was a liaison among the main corporate office, clients and employees. She has always had an interest in healthcare and decided to get involved in home care. Yodite lives in Alexandria, VA and has been with BrightStar for about three years, working very closely with clients and caregivers on optimizing care delivery in our community— every day. Customer and employee satisfaction is her main goal. Yodite’s day-to-day job is to help our caregivers and clients in any way possible and make them happy. Ms. Perpetue (Manzi) Kikoni, a lead field nurse, is an experienced registered nurse with 20 years of clinical and managerial experience in hospital as well as home settings in Virginia, Maryland and West Virginia. She holds a BSN from Alderson-Broddus College, Philippi, WV (1996). She has extensive experience in direct patient care— over 15 years of experience as an emergency room nurse and nurse manager. Manzi served as our Director of Nursing in 2015-2016 and is still involved in our quality assurance program, staff education, and delivering direct clinical care to clients in Washington, D.C. and Northern Virginia. Manzi has a long track record of being patient-focused and a very compassionate healthcare professional. She is bi-lingual and deeply involved in community activities. She is passionate about employee training and patient education in order to maintain the highest quality of care. Manzi believes in “aging in place” and works with BrightStar clients in exploring options that best achieve their goals in terms of staying home safely. Ms. Solongo Mendsaikhan, CNA joined BrightStar in 2016 as a field CNA, provided a higher standard of quality care to her clients, and managed to establish excellent relationships with clients and their loved ones. She provided direct patient care to clients with Alzheimer’s Disease, ALS, Diabetes, amputees, Cancer patients, clients under hospice care, total acre/bed-bound clients, as well as transitional care to clients post surgery. Solongo successfully piloted our efforts to automate care delivery, using BrightStar’s proprietary technology to plan, deliver, and monitor care delivery in the field— on real time basis. In 2018, Solongo was promoted to Scheduler/Recruiter and joined our office team. She lives in Arlington, VA. Solongo is still involved in direct client care. She loves helping clients achieve their own care goals and employees achieve our quality standards. Please contact BrightStar Care Arlington or call (703) 520-1050 and we'll be happy to answer them.